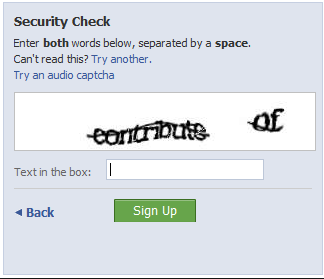 A new startup has found a way to completely bypass Captcha to the tune of 90% accuracy. They have programmed a computer to think and read like a human. If a computer is capable of thinking like a human then Captcha has been defeated. Captcha can’t be more difficult than a human’s brain to figure out, otherwise nobody will be able to get past it themselves as legitimate users. Now, if a computer can in fact do the same thing, then it has completely been defeated. They have tested the computer on Facebook, Google and other extremely top level companies and submission forms. “CAPTCHAs have been around since 2000, and since 2003 there have been stories every six months claiming that computers can break them,” said computer scientist Luis von Ahn of Carnegie Mellon University, a co-developer of CAPTCHAs and founder of tech start-up reCAPTCHA, which he sold to Google in 2009. “Even if it happens with letters, CAPTCHAs will use something else, like pictures” that only humans can identify against a distorting background.